SYSTEMIC is a joint initiative of both Ministries of Education (via EUN Partnership) and industry (through CSR Europe, the leading European business network for corporate social responsibility). SYSTEMIC will be coordinated by EUN Partnership, in Belgium. Since 2007, STEM (Sciences, Technology, Engineering and Maths) has been one of its major thematic areas. The SYSTEMIC proposal will develop complementary blocks of activity: it will address (1) the school education challenges (with two Ministries of Education involved - DGE and DCM) and (2) the role of industry in STEM education (with the active support of the STEM Alliance, mainly via European Schoolnet and CSR Europe and a local Technological centre in Obodos, Portugal). The 1st SYSTEMIC High Level event including high-level representatives from businesses and the education sector gathered in Brussels, Belgium, on 7 December 2017 to discuss how to advance and scale up business-education cooperation to improve Science, Technology, Engineering and Mathematics (STEM) studies and careers in Europe. 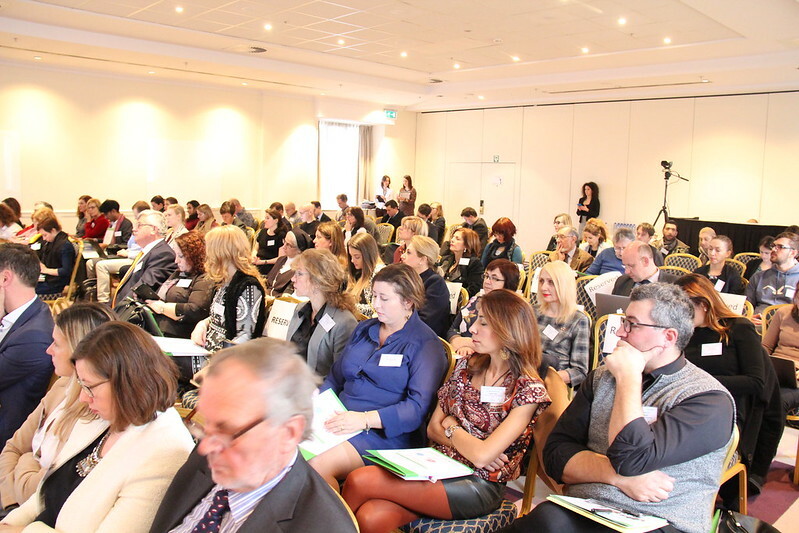 The conference, jointly organised by the SYSTEMIC and the STEM Alliance project, funded by the European Union's Erasmus+ programme, demonstrated the business case for companies to invest in STEM Education and enhance the attractiveness of STEM jobs in Europe. The event was opened by Michael Teutsch from the European Commission's Directorate General for Education and Culture, and Sarah Atkinson, Vice-President of CA Technologies, a STEM Alliance partner. Co-chaired by Marc Durando, Executive Director of European Schoolnet, and Celia Moore, Member of the Board of Directors of CSR Europe, the event hosted a wide mix of companies, Ministries of Education and educational organisations that are strongly engaged in promoting STEM education and careers to young Europeans. For more information on the speakers, presentation and videos shown during the High Level event please visit http://www.stemalliance.eu/high-level-event-2017. The 2nd SYSTEMIC High Leven event will take place in 2019. SYSTEMIC has just released two guides to support the "STEM Professionals Go Back To school" scheme! The "STEM Professionals Go Back To School" is a STEM Alliance scheme that encourages volunteers from STEM industry (technicians, scientists, engineers, researchers or employment and recruiting managers) and teachers to organise career talks and collaborative activities in schools. The programme is running all year long, and functions as a database of existing and new initiatives. SYSTEMIC is supporting this scheme by providing two guides, one for schools and one for companies interested in organising and carrying out school visits. The guides provide information, advice and useful tips that both parties can take into account before, during and after their collaborative activities. By doing so, schools and companies will collaborate constructively into organising visits and activities that will promote collaboration between the respective school and industry plus raise students' awareness on STEM careers and future STEM jobs. The 2nd SYSTEMIC Consortium meeting was hosted by the Ministry of Education (DGE) and took place in Lisbon on May 25th 2017. During the meeting, the project partners have exchanged and reflected on the results from the first STEM MOOC "Opening minds to STEM careers". (). Content planning has also started for the preparation of the 2nd MOOC "Opening Schools to STEM careers" which will start at the end of September. The final versions of the two guides that Systemic partners have prepared to support the "STEM Professionals Go Back to School" scheme have also been presented. Next consortium meeting will take place in Brussels either before or after the 1st SYSTEMIC High Level event in December 2017. The SYSTEMIC kick-off meeting took place in Brussels on November 30th 2016. Partners will have the opportunity to meet every, approximately, 6 months in order to discuss the progress of the project's work but also use this opportunity to take decisions and advance their work. During this first meeting, the project partners, under the lead of the project coordinator (European Schoolnet), had the opportunity to go through the various project outputs and decide on their initial actions. In the following months focus will be given on the development of training programmes for STEM teachers, heads of schools and career counsellors. The team will also work on the development of guides (one for schools and one for industries) to support the "Professionals Go Back to School" scheme. Time was also spent of defining the collaboration and communication channels that partners will be using for the duration of the project and going through the financial particularities of the Erasmus+ projects. Next consortium meeting will take place in Lisbon around May-June 2017. SYSTEMIC has published the "Teacher Placement Initiatives – Collection of Best Practices" booklet, containing a selection of 15 initiatives collected from 10 countries around the world, providing inspiring examples of STEM teacher placements in industry.